The ISIS uses social media to attract new recruits and spread their message. Many young men / women from Kerala recently traveled to the Middle East( ?) recently to join/ support IS. Surprising how these youngsters were motivated through social media to join the Jihadis. These young people barely out of teens are educated and from well to do families. The social media is so powerful .. Very True but gullible ones would never learn!All gods are having last laugh and doing roaring business!! May God have mercy on us, the superstitious folks!!! 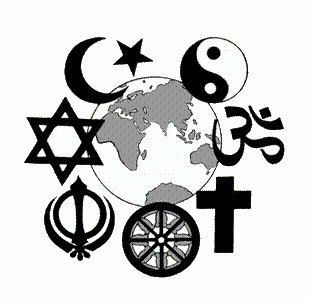 What is the philosophy of all Religions? I am right, You are wrong. If you question me you will burn in hell. So what more we can expect from religions? God-men knows how to encash this. As I know religion is metaphorsis of faith. Faith is totally individual based. But our Godmen play on sentiments of gullible public to paint a totally regressive picture. Then all hell gets loose. To preserve one’s faith, which is totally personal and not in any danger of extinction, one gets anti to the follower of different faith. WHEN WILL PEOPLE REALISE?.